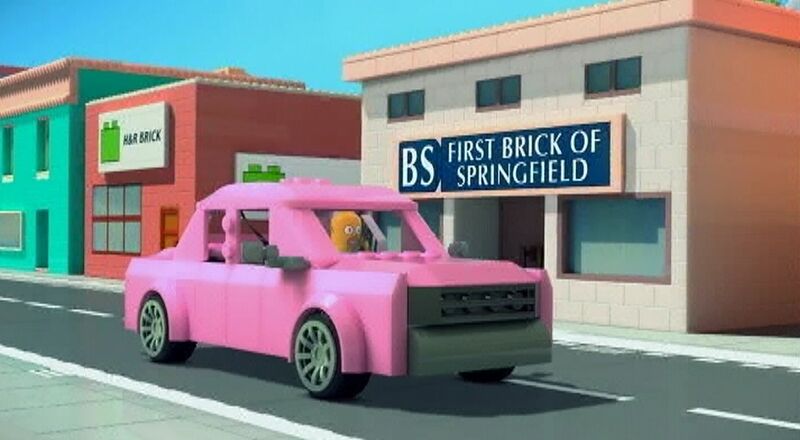 One of the newest “The Simpsons” episodes, “Brick like me”, was an experimental episode which was mostly Lego based animation. It was a clear and unashamed reference to “The Lego Movie”, as it copied the film’s formula style and message. It was an interesting idea, but poorly executed. 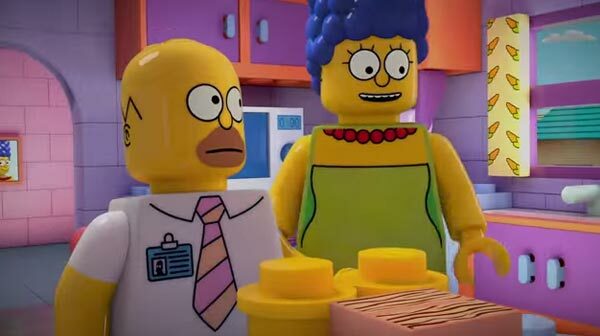 For one, the episode wasn’t brave enough to just fully center on Legos; large parts of the episode were still animated in the traditional Simpsons Style. The episode was lacking in jokes, and much of the characterization (consistent within the show’s trajectory) was nonsensical. 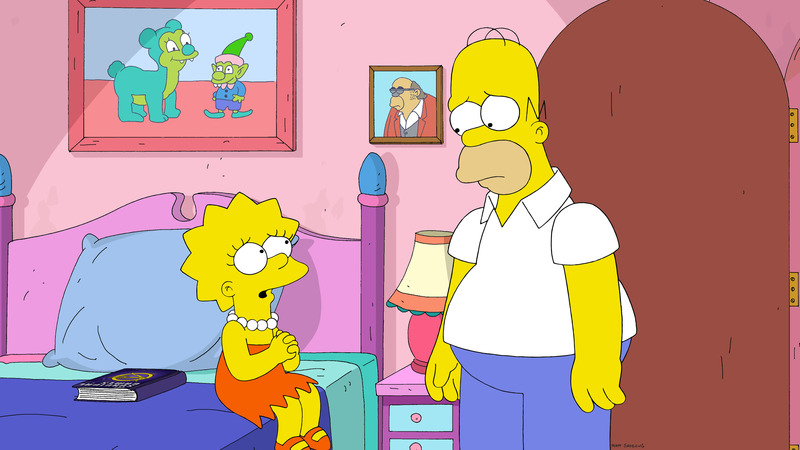 For instance we are given a joke which implied that Homer was used to being sexually rejected within his marriage, this comes off as bizarre to those who have been following the show as many episodes have actually portrayed Marge and Homer as quite happy (and playful) in their sexual life. This was of course one of the new writers’ many jokes where women are portrayed as unfair shrews (whose supposed “horrible actions” stem from the fact that they don´t do whatever their husbands wants. 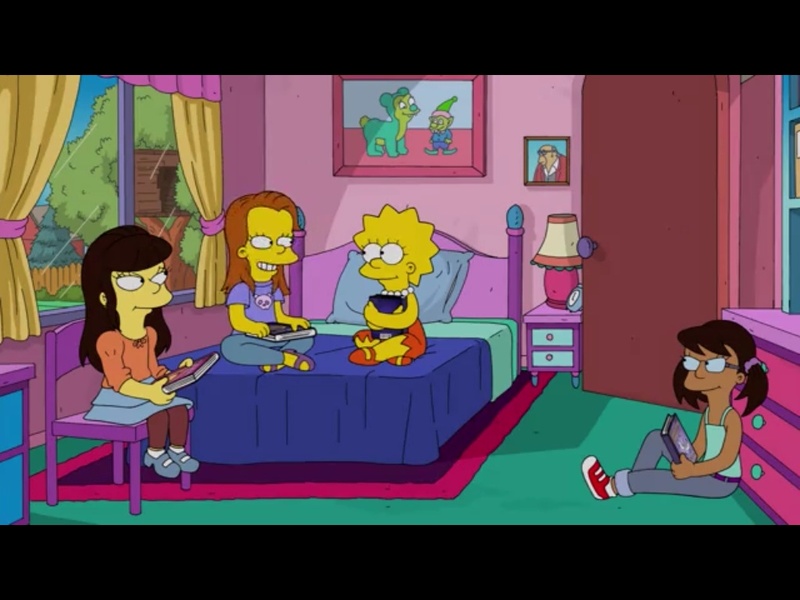 This is a problematic portrayal of marriage since it implies that a husbands desires are more important than the wife’s comfort zones), despite it going against the Simpsons female characters established personalities. In another episode of this new Simpsons trend of belittling women (and their concerns and struggles) we find a scene where Lisa complains about Christmas gifts being too commercial and that she intends to buy fewer, but more significant presents for her family. Millhouse responds to Lisa´s plan by asking if she’s doing so merely to make herself feel good. Lisa then lectures Millhouse angrily that women only want to be listened to and heard, but never really questioned about what they say. This is mere reiteration of the stereotype of the babbling and empty communication of women. This is a sad dismissal- and not a funny one – of the concerns and thoughts of Women, who have been kept out of the public sphere of debate and discussion and now want places and relationships where they can be heard and taken seriously within dialogue. Lisa, while at times a bit arrogant, has listened and learned from men’s critiques many times. One instance which comes to mind, and which informs her character for many of the shows that follow, is the episode “Lisa the vegetarian” which finds Lisa taking Apus words of tolerance towards meat-eaters to heart. Another episode shows Lisa deciding to celebrate Christmas with her family, despite her being a Buddhist, after discussing and contemplating Belief and Celebrations with her Co-Buddhists Richard Gere, Lenny and Carl. The new writers are more concerned with their abilities to make sexist jokes than to capture the lovable, progressive story lines that made Simpsons great and notably Lisa a Standout in her stances to the male status quo. Not only did the episodes of the past “Simpsons” deliver great political satire, brilliant plots and subversive storytelling, it was also in fact one of the few shows that depicted both its female and male characters as complex and fully-realized human beings. 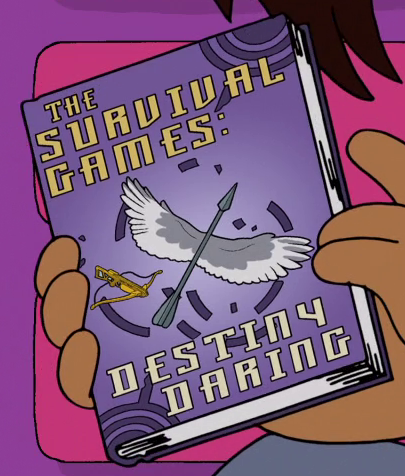 This dismissive inclination towards women is best captured in the episode “Brick like me’s” (Season 25) last few minutes, when Lisa goes to see “The Survival Games”, a parody of Suzanne Collins “The Hunger Games”. The problematic depiction of the books and films by this episode lies in that the main characters are portrayed as being solely interested in nothing but a love triangle between the female protagonist and the two perfect boys vying for her love interest. This is compounded when we see Homer viewing and complaining that the film is not violent enough (despite a 12-year old child being paled to death and one of Katniss’ love interest being nearly whipped to death, to name a few gory things from the films and books). Marge hushes Homer since she wants to pay attention to the heroine trying on dresses. 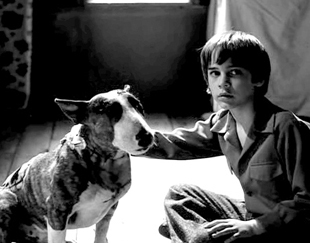 If anyone has seen the films or read the books, they will be able to tell that the writers of “Brick like me” have not the slightest clue of the actual content, intention and trajectory of both the Book and Film Series (and its very odd given the Characterization of Liza that she wouldn’t “understand this intention of the Author”) . The love triangle is nearly absent in the second “Hunger Games” film, “Catching Fire”, and is a small portion in the novels. Suzanne Collins actually did this deliberately; Katniss’ relationship with Peeta (one of the “love interest”) is mostly for show, as it creates a possibility to survive the games. In actuality it is in fact mostly a burden for the heroine to perpetuate this facade. Katniss’ main goal is to protect her little sister and friends. Collins depicts Katniss as someone who has little option than focusing on survival of self and family, and romance must take the back seat to the important realities of life. When Katniss is forced to try on different dresses, she is shown as extremely uncomfortable and emotionally out of place in both the book and the film series. In the books, she states that she has zero interest in fashion and clothes. She feels objectified and humiliated while forced to dress up in a mandatory show before the actual killing begins. The novel devotes the majority of its time to her hunting skills, her intelligence and how she solely rescues her entire family from starving to death. 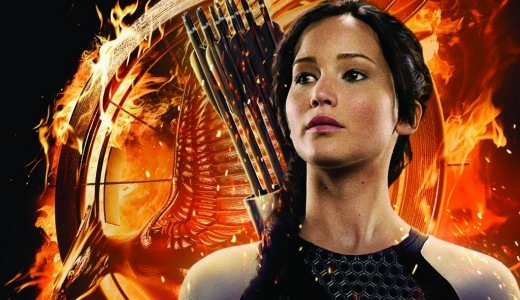 But since “The Hunger Games” has a female protagonist, the writers of “Brick like me” have decided, without actually getting familiar to the subject they ridicule, that the main protagonist being a female must be focused on boys and dressing up (fantasy). 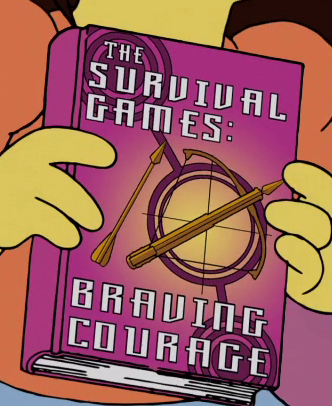 By also having Homer, while watching the film (some rows behind Lisa, but with Marge in attendance), complaining that he hasn’t got to see kids fight to the death and that’s all he wants, the writers continue their blind denial of the main point of the whole franchise: This Series of Katniss is a critique of our cultures obsession with violence and disregard for the fellow person. That the children are sent to die for entertainment is supposed to be a horrific dystopia – not something the viewer is meant to enjoy. Additionally Katniss is the True Human and therefore is the outsider to the Political and Cultural oppressions. The fashion scenes are also a satire of that very culture of oppressions, both legally and socially, which the “The Hunger Games” series resist. Katniss’ description of the fashion show can be summed up by Katniss seeing it as form of distraction; an opium for the masses. The short scenes of Katniss trying the dresses are not for eye candy. The fact that “Brick like me” ignores the social and political commentary that exists in “The Hunger Games” seems to be solely because the protagonist is a girl and that the fan base consists of lots of young girls and women. 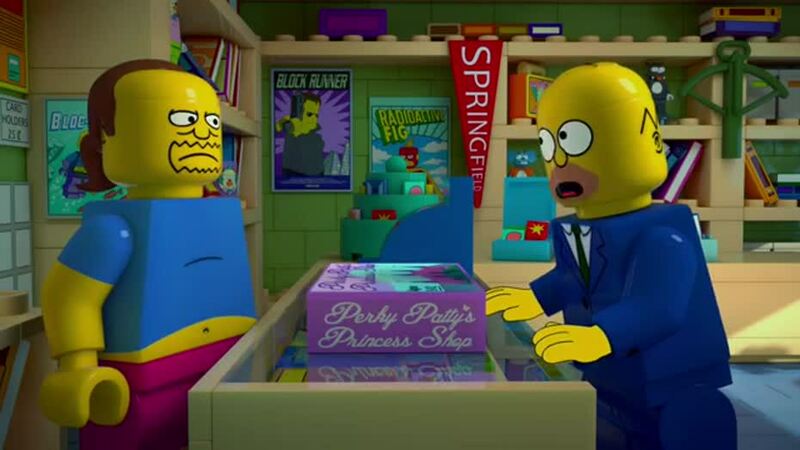 The new “Simpsons”-writers don’t critique anything that really happens in the films and books; they taint it for being what they consider “girlie”. They ignore the male fan base that the franchise has also accrued, actually implying that such a fan base doesn’t exist by having Homer complain non-stop. This is misogyny, plain and simple. 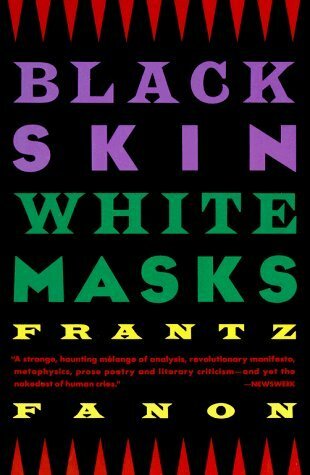 The writers dismiss that a woman writer can actually write novels that tackle political issues such as poverty, disability and political oppression. 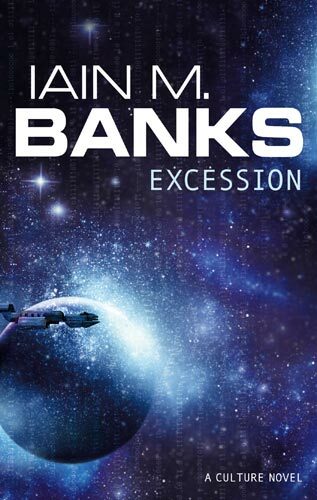 They dismiss that despite the protagonist being female, she is not obsessed with romance. In fact Katniss’s lack of interest in romance is part of what has made her into such a feminist icon; to have a female protagonist prioritize other things than dating was seen as a breath of much needed fresh air to many female readers. And they dismiss that boys and men can enjoy media aimed at young women. It implies that by being female centered, it is automatically shallow and empty. It is a great shame that women and girls as consumers of culture are still looked down upon and ridiculed due to their gender. This is not to say that all culture aimed at women has always been good; or have avoided the misogynist, “Twilight” and “Fifty Shades of Grey” for instance do deserve to be critiqued for their romanticizing abuse and their echoing of traditional gender roles. Even the “Hunger Games” films can be critiqued for whitewashing characters and keeping characters able bodied when the book described them as disabled. 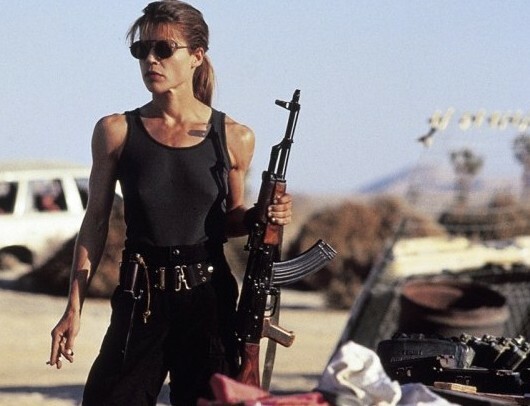 But no culture should be critiqued solely for centering female characters and for being loved by female consumers; it is shallow, sexist and shows a wilful ignorance. Even worse this ignorance goes, in fact, against what “The Simpsons” used to speak and stand for. Lisa was never ridiculed for her interest in Barbie dolls and ponies, despite being what our society considers “girly” interest. Why have the writers suddenly changed their tone and start to openly mock women who consume culture, when in the past this was strictly averted? One can only wonder. Mission Whishable: What Is A Heroines Task? A humorous and ubiquitous meme, featuring the stately wizard Gandalf from the “Lord of The Rings”-series, has this wise sorcerer crossing the fantasy world divide to give advice to Harry Potter (protagonist of Harry Potter fantasy series), Frodo ( “Lord Of The Rings”), Luke Skywalker (“Star Wars”) and Edward Cullen (of the “Twilight“-series). The anonymous comic who initiated this vivacious internet meme can be found here. This Meme will definitely give one a good laugh! However, this does raise the question of what kind of missions would be forwarded on to a set of strong, willing and independent female characters from these fictive worlds (because we did wonder why the meme includes only males??!!). 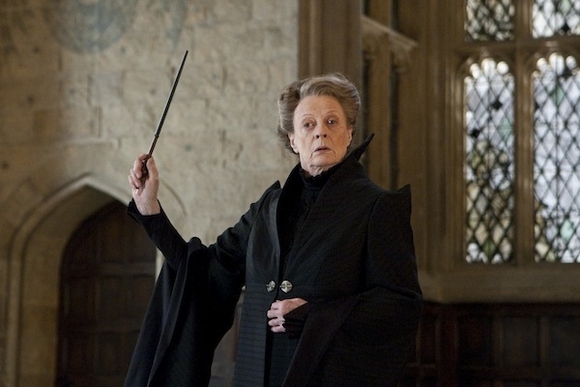 Naturally the dignified, tough, and no-nonsense character of Professor McGonagall from the Harry Potter novels would gather the action around her. What would this look like? Let’s find out! 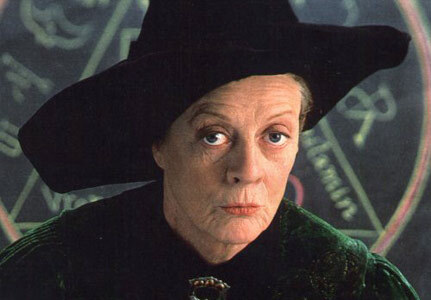 Professor McGonagall: : Allright ladies, these are your missions! Buffy, protect Sunnydale from the various demons and vampires at all cost! 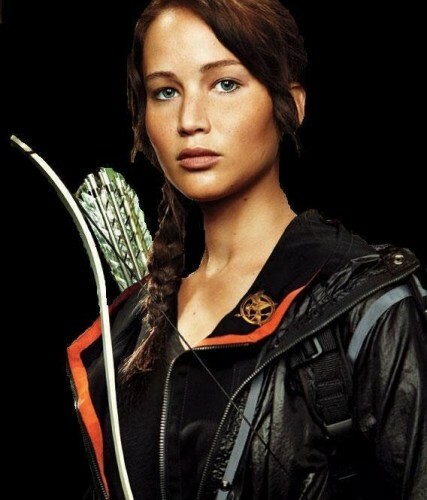 Katniss, provide food for your family and survive the Hunger games! 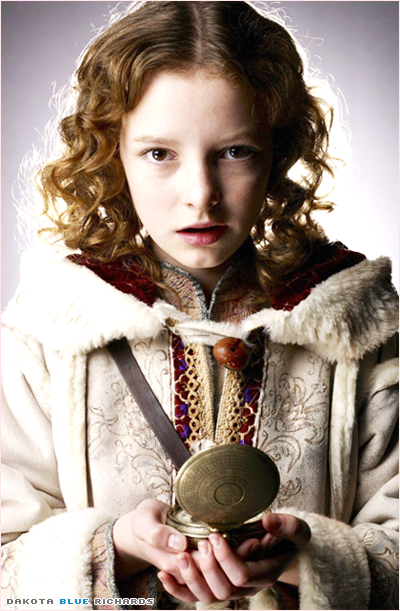 Lyra, find the truth about the dark materials! 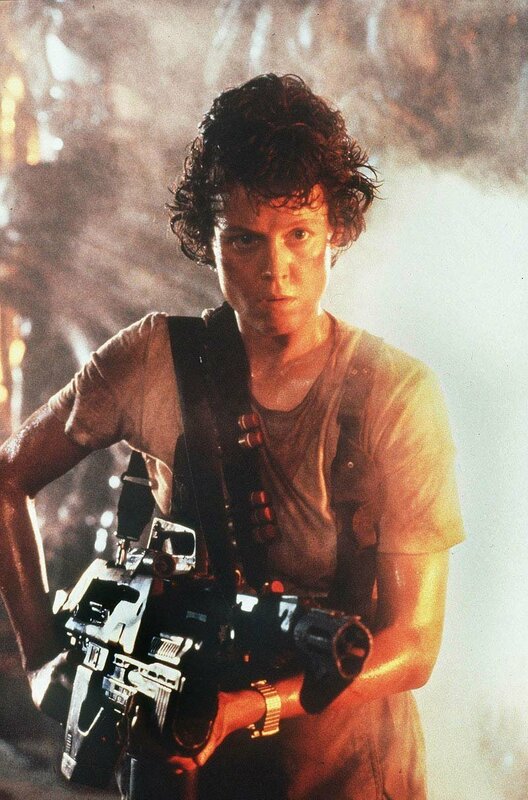 For those who don’t know, the women are protagonists from the series “Harry Potter”, “Buffy The Vampire Slayer”, “Alien” franchise, “The Hunger Games” trilogy, “His Dark Materials” novels and “Terminator” franchise.